How do I treat cancer? Naturally I use or apply all tools which are recognized by today’s modern oncology. Yet there are certain complementary methods which are not part of daily oncological practices, even though they are very effective. 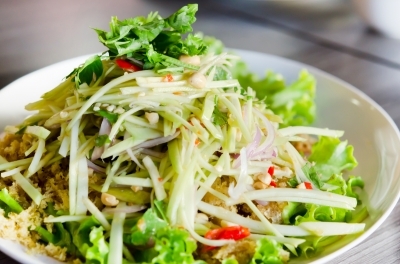 A good example is therapeutical application of a low caloric diet. Blood Journal recently wrote about the good effect of low caloric diet on B-cell lymphomas found on mice. In the experiment they applied a diet containing 25% less calories over 24 days on mice with B-cell lymphoma. They found that those mice had the best reaction to therapy which received a calorie restricted diet and a cancer medicine (ABT-737). In another recent scientific publication Caso J. and his North Carolina research team found that a diet 20% lower in calories reduced the growth of prostate tumor of mice. A third article in the American Journal of Epidemiology by Teresa T.Fung and her colleagues also describes that a diet containing high percentage of vegetable substances reduces the development of so called estrogen negative breast cancer. According to the authors, this type of breast cancer is considered more aggressive. Therefore, the application of such a diet seems to offer an opportunity of treatment. 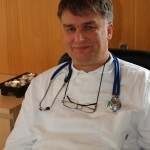 Wolfgang Lutz, professor of demography from Vienna describes 36 breast cancer patients in his book „The colonisation of Europe and our western diseases”, who after their operation did not receive chemo- or radiotherapy, they only established a low caloric diet, and all got perfectly cured. In the Framingham research loss of weight above the age of 45 also meant reducing risks by 60%. In the Iowa Women’s Health Study 15 year follow-up survey, they examined 1987 breast cancer patients and proved that the maintenance or reduction of body weight significantly (by 50-60%) reduced the risk of breast cancer. Gábor Szendi also talks in great detail about a close relationship between overweight, high blood sugar, high insulin, the level of a growth factor similar to insulin (IGF), the number of insulin receptors, and breast cancer or growth of tumors in general. These factors clearly grow together with taking food that is high in carbohydrate and extra kilos. All in all we can conclude that the development of tumors is enhanced by every extra calorie, it is on the other hand reduced by a vegetable based (but not grain) diet. 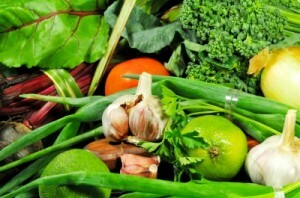 Therefore, in treating and preventing such types of tumors, the introduction of a vegetable – vegan – diet is essential. There is no evidence to prove that a diet containing meat or a lot of meat such as a predan diet, would be as beneficial as a vegan one. Thus I recommend everyone to try and normalize body weight by detoxing liquid fasts, followed by the introduction of a vegan – low carb diet. Besides many other things, this diet is anti-inflammatory, so it significantly reduces the risk of tumors. For details on various techniques please see Tamasi diet.